Police are currently in attendance at an incident on Groathill Road North. One local describes seeing a car driving fast before smashing through a garden and into a parked car and a caravan. 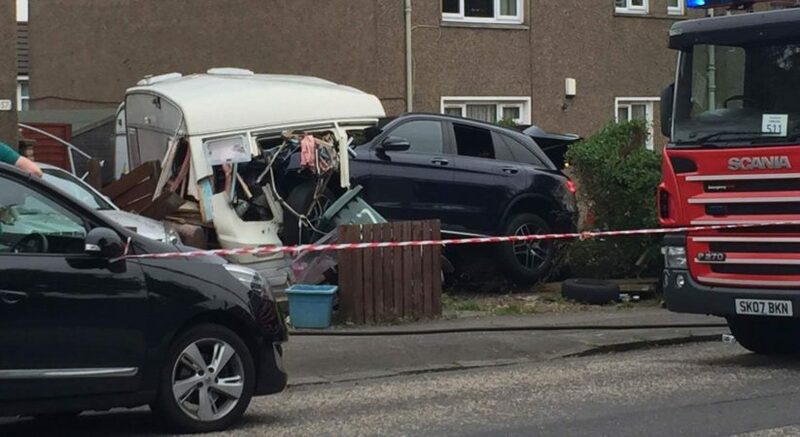 The local said “The big jeep was being driven by youngsters and then crashed into a garden and through a caravan and into a car. “The car is still parked and the engine is running. A Police Scotland spokeswoman said: “Police in Edinburgh responded to a report of a car driving erratically on Groathill Road north around 8.10 am on Wednesday 14th September. “The vehicle was subsequently involved in a collision with a stationary caravan on Groathill Road North. “Inquiries are ongoing to trace the individuals believed to have been inside the vehicle.